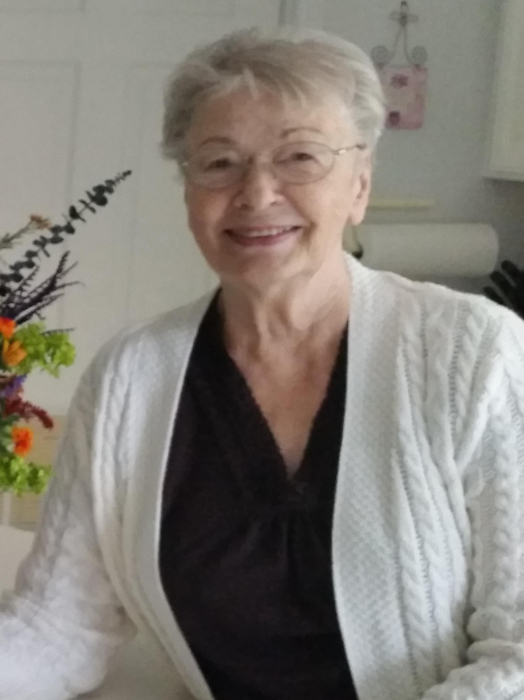 Obituary for Coleda (Talley) Belzek | Penzien Funeral Homes, Inc.
Coleda Belzek (nee Talley), 82, passed peacefully on Wednesday, October 3, 2018, surrounded by her family at her home near East Jordan. She was born on June 14, 1936, in New Port, Arkansas, the daughter of Clyde O'Dell and Elsie (Carter) Talley. On October 3, 1959, she married Joseph Belzek in Schiller Park, Illinois. Coleda and Joseph resided in Chicago, Illinois for 42 years while raising their children and building their life together. Coleda was a homemaker and caretaker to many throughout her life. She was an avid bowler of 30 years and a gifted artist. Always seen with a warm smile on her face, she was quick witted and took great pleasure sharing the stories of the family's history. She was loved by many and had a generous giving spirit. Her influence will forever remain in the lives of all who knew her. Coleda is survived by her husband, Joseph Belzek of East Jordan; two daughters, Theresa Lurgio of Hanover Park, Illinois and Janet Lederer of Plainfield, Illinois; five grandchildren, Jamie (Alyssa) Belzek, Amanda Lederer, Victor (Becky) Belzek, II, Elizabeth (Dan Salazar) Belzek and Nicole (Craig) Laidlaw; eight great grandchildren; one brother Charles (Lorraine) Talley of Rockford, Illinois; and one sister, Virginia (late Henry) Wilkins of Fort Myers, Florida. She was preceded in death by parents Clyde O'Dell (Elsie)Talley and one brother, Clyde O'Dell (Jean) Talley Jr., Son Victor Belzek. The family will receive friends on Monday, October 8th, 2018 from 3:00 to 8:00 P.M. at the Penzien Funeral Homes, Inc., East Jordan. A rosary service will be held on Monday evening at 7:00 P.M. at the funeral home. A funeral mass will be held on Tuesday, October 9, 2018, at 10:00 A.M. at St. Joseph Catholic Church, East Jordan and will be laid to rest at St. John Nepocumene Praga Cemetery. In lieu of flowers, memorial contributions are requested to go to McLaren Hospice.